I had such a fun time volunteering for a local Connecticut organization called Princess & The Prom. Just imagine a room full of over 2,000 prom gowns every color of the rainbow, getting your own personal shopper to help you find your size and style. How could any high school girl not have a blast? It was so fun watching the girls find that perfect prom dress, they all looked so beautiful. 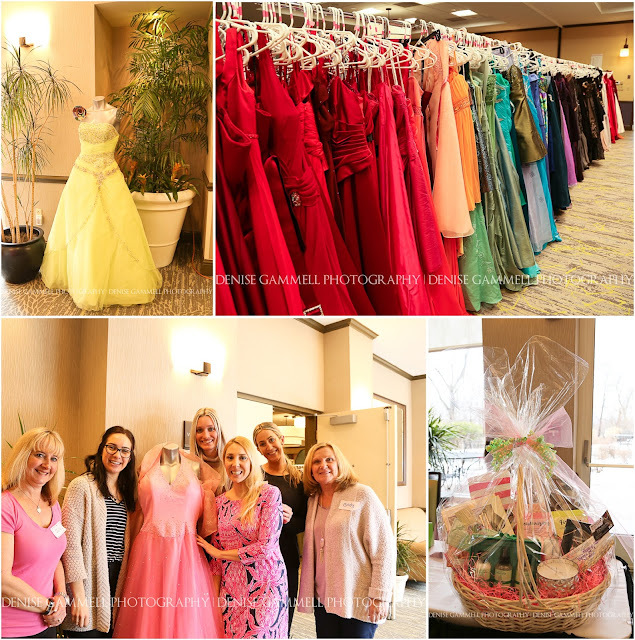 Check out the Princess & the Prom website for all of the details on how to donate your prom dress, volunteer as a personal shopper for a girl, or if you are a CT high school student how to apply for a free gown next year! It's such a great time! One lucky Connecticut high school girl who attended the dress event won a drawing of a beautiful basket filled with all kinds of luxury treats to get ready for prom. I know there was a mani-pedi, makeup application, and all sorts of gifts from the many corporate sponsors of the event. I saw girls moved to tears that they were going to get to go to the prom in a beautiful dress. I'm proud of all of these wonderful fairy godmothers that work so hard to pull off this super special time for CT teens!